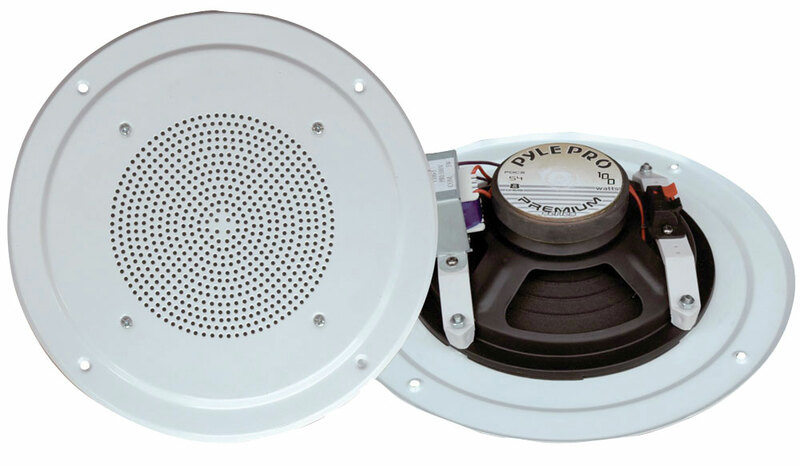 The Pyle Home PDICS54 two-way in-ceiling speaker system delivers stereo sound to any room in your home or office without cluttering floor space. Included in the kit is the mounting hardware for installation, and a template for existing construction. For new construction, consider one of Pyle's mounting brackets for precise installation.